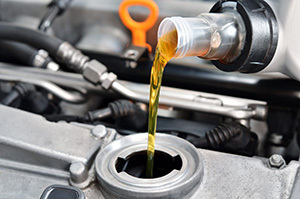 Oldsmar Oil Change | Murray Motive - Murray Motive, INC.
What’s included in your Oil Change? We are pleased to top off your fluids as we conduct these inspections. How often is an oil change necessary? With the wide variety of cars in the market now, we don’t believe in changing your vehicle’s motor oil more often than every 3,000 miles or 3 months. In fact, we won’t offer any services unless we feel it is necessary for your safety or to improve the life of your car. It's also safe to consider that every car make, model and year of the car will require different intervals. So, it's always a good idea to ask one of our ASE expert technicians if you have any questions. For over 25 years, Murray Motive Complete Auto Repair and Transmissions has served the Oldsmar and Tampa, Florida area with a wide range of auto services with integrity. Since small problems can become big problems, we firmly believe in the value of appropriate routine maintenance, including oil changes. Contact your Oldsmar oil change station - Murray Motive for a quick yet quality oil service today!